Breastfeeding Pods At Airports – Would You Use Them? Airports can be a difficult place to privately breastfeed your baby, let alone pump breastmilk. Most mothers are either forced to reluctantly use a public restroom, or do their best to cover themselves in public waiting areas. While it is indeed every mother’s right to breastfeed in public without criticism or discrimination, some mothers prefer privacy and quiet to breastfeed their babies and pump breastmilk. Other mothers don’t mind where they feed, and feel that public breastfeeding is an important step in normalising breastfeeding. 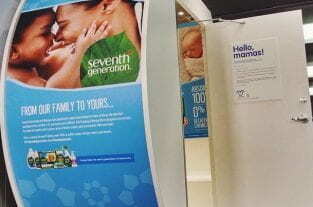 As a result of increasing traveller complaints about the lack of breastfeeding facilities, home and baby care company, Seventh Generation, teamed up with Mamava, a breastfeeding advocacy group, in order to create a solution — sponsored breastfeeding pods. 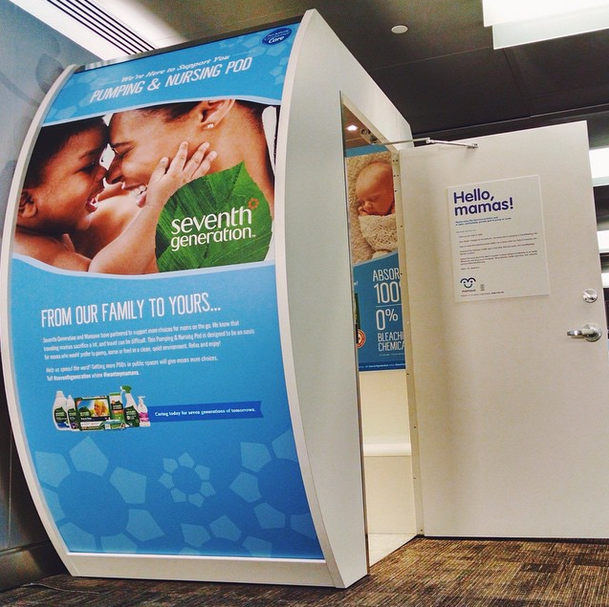 Several breastfeeding pods have just been placed in US airports, right in time for mother’s day. These freestanding, private pods offer a cleaner, quieter alternative to public rest rooms, and have enough space for luggage and four family members too. Measuring 4 foot by 8 foot, the breastfeeding pods offer an electrical outlet for a pumping machine, a mirror, two benches and hand sanitiser. The pods lock from the inside, providing privacy for mother and baby. One of the best features of the breatsfeeding pods are where they are located. Alyssa Milano will be thrilled to know that the pods have been strategically placed past the security checkpoints, allowing for mothers to pump milk and not have it confiscated. While the breastfeeding podsÂ are only available in the New York area — JFK, Newark and LaGuardia — the plan is to expand and have the pods placed in more airports. The very best thing about breastfeeding pods? It provides another option for mothers and babies. And don’t we need more of those? No-one will be forced to use one, but if you want it, it’s there. If it helps more mothers feed their babies, without anxiety, for a longer duration of time, and with peace of mind, then that’s nothing short of amazing. Is this something you’d like to see at your own local airport? Let us know in the comments section below. i would defentily use them. When we travel it is hard to find a place to feed without being looked at. When Bub needs a drink u have to feed. I would definetly use it! Im so happy that this has finally come! It was so hard trying to feed my baby in airport bathrooms. Nowhere to sit, people staring at me for choosing to feed my baby this way, and my baby needs to be in a very quiet place to feed because she gets distracted so easily. I would love it if many other places had pods like this like the mall or big department stores. 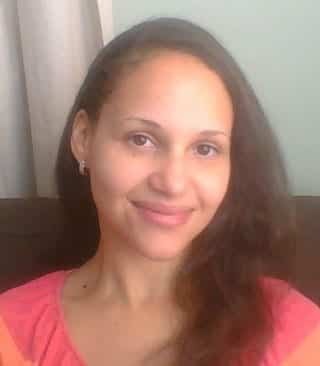 For mothers that decide to breastfeed, things should be a bit easier and it should be supported! Thanks to the advocates for working on this! I would LOVE to see these at the Honolulu International Airport! Very clever! Definitely a great convenience. I also feel these should be available at malls as well. Would love to use this at Bristol airport UK! Yes, please!!! My toddler gets VERY distracted. Absolutely I would use one! Awesome idea! I had so much trouble finding clean and quiet places to feed my 4 month old when travelling overseas through Europe. Not much better in Australia. Great idea. While I am happy to breastfeed in public uncovered, I wouldn’t be comfortable pumping in public. I can see that these rooms are fantastic for a pumping mother because of the privacy, electricity and how they’ve put them after security. I love this idea. They need these in other places like malls or bus terminals. Or even having something similar anywhere public. This would be AMAZING! I had to pump while traveling without my baby. Once I had to pump in an out of the way office area with a blanket over me while my husband stood guard. The next airport I had to pump in the small bathroom with a blanket over me while hearing disapproving noises from women as they came in and out. Really? So frustrating. So, yes! I would totally use these and be VERY grateful for them! Yes, I would definitely love to see these around. More than airports would be great. I would love to have this at my air port, because of the fact that I don’t like feeding my baby put in public for the sake of having people stare and muck their rude comments. Id rather be somewhere private where I feel more comfortable with my baby because the bonding between her and I is very important and we get great bonding through breast feeding. Please bring these to the Chicago airports! They need this at every airport! Absolutely great idea !! !definitely use them, UK airport please!!! These are GREAT and should be in EVERY airport!!! This is so smart! I enjoy privacy while feeding my twin girls. That’s my moment enjoying my time with my infant girls before they grow up too fast. I think it’s a positive step. Please place them in dallas, Fort Worth airport!